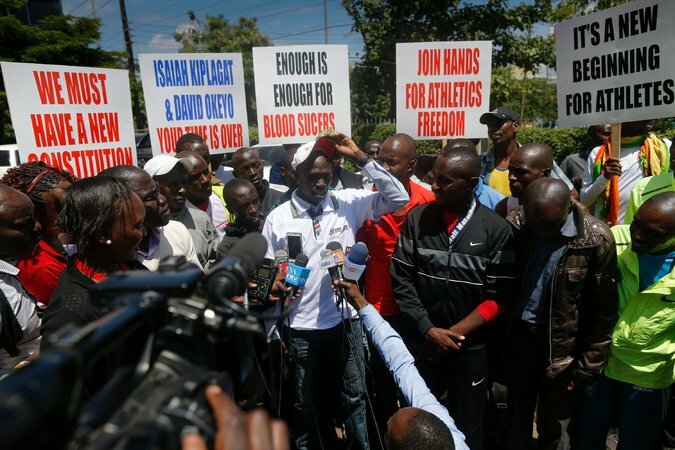 Officials and athletes at a protest in Nairobi this month over alleged corruption in Kenyan sports. The blows to sports credibility keep coming. Three leading Kenyan track-and-field officials on Monday were provisionally suspended by the I.A.A.F. pending an investigation into allegations that they subverted the antidoping program in Kenya and diverted sponsorship funds received from Nike. The suspensions came the day after yet another major European city — Hamburg, Germany — voted against bidding for the Olympics, leaving four candidates in the race for the 2024 Summer Games: Los Angeles, Paris, Budapest and Rome. Though there was no direct linkage between the Kenyan and German developments, the climate of skepticism about governing bodies and the sports they govern probably did play a role in the close Hamburg referendum, in which 51.6 percent voted no.